A joint investigation by the NYT and 20/20 showed Lehman Brothers did business with mortgage broker First Alliance, charged with making fraudulent mortgages and engaging in predatory lending. First Alliance customers complained about extremely high fees and higher interest rates than what they signed up for. An internal memo by a Lehman brothers exec called First Alliance a mortgage "sweatshop" whose employees "leave their ethics at the door." First Alliance settled charges with the FTC in 2002, and then went out of business. 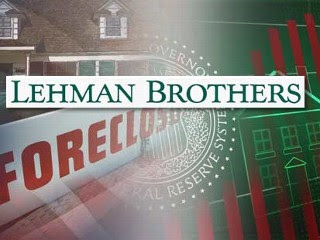 Lehman Brothers defended its business relationship with the company, calling itself "an underwriter, not a regulator." Today, they finally learned their lesson.